Achtung: Die Show wird auf den 8.05.2018 verschoben. Bereits gekaufte Tickets behalten ihre Gültigkeit! Born and raised in Bedford-Stuyvesant, Brooklyn, Bette Smith reconnected with her musical roots in Memphis and Mississippi – and fulfilled a promise to her late brother in the process. 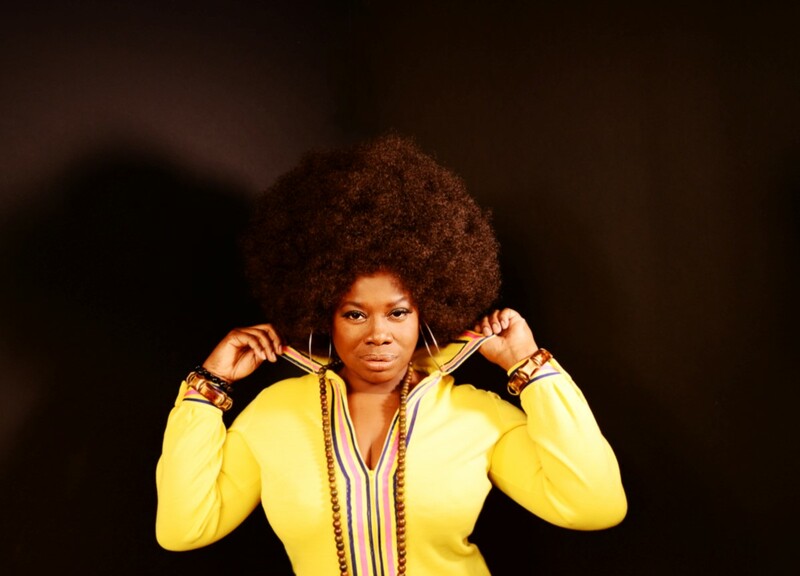 Recording her debut full-length album in Mississippi brought her to the roots of the gospel she sang in the church and the soul music she heard on the block on hot summer nights music growing up on the corner of Nostrand and Fulton. The powerful ‘Jetlagger’ comes out September 29 on Big Legal Mess, a Fat Possum subsidiary. “The south came to me and grabbed me and pulled me down there. The southern migration came up and got me. My neighbors in Bed-Stuy influenced me,” she says. Jimbo Mathus produced the album at Water Valley’s Dial Back Sound and sent roughs to Bruce Watson, who swiftly signed Smith on for a full-length. He’s become a secret weapon for Fat Possum and Big Legal Mess Records; in addition to being a solo artist and a founding member of the Squirrel Nut Zippers, Mathus has also produced Shinyribs, Luther Dickinson, The Seratones, and played on records by Valerie June, Buddy Guy, and Elvis Costello. “You exceeded all expectations,” Mathus told her. Mathus dug deep into the Mississippi and Memphis soul bags, unearthing “Flying Sweet Angel of Joy” by Famous L. Renfroe, a song with which Smith particularly connected. “I believe in guardian angels. Jimbo picked up on that. I feel that I was giving voice for Famous L. because he never really got a chance.” Mathus also picked Isaac Hayes’ “Do Your Thing,” which simmers with Memphis heat. The raucous soul-rock of “Man Child,” the spare funk of “Shackles & Chains,” and Blaxsploitation soundtrack feel of “Durty Hustlin’” were all written or co-written by Mathus specifically for Smith. She gets rough, wrestling the title track to the ground; the song captures the late nights and lack of sleep inherent in a musician’s life. First-call Memphis horn players Marc Franklin (Robert Cray, Lucero) and Kirk Smothers (Don Bryant, Melissa Etheridge, Cyndi Lauper, Buddy Guy) were summoned to complete the album’s sound. ‘Jetlagger’s’ closer, the Staples Singers’ “City In the Sky,” connected her back to Bed-Stuy. She remembers, “My father was a church choir director. I was singing since I was five years old. I take it to church. I just break out, start speaking in tongues.” She also heard gospel around the house every weekend. “My grandmother listened to nothing but gospel,” she recalls, citing Mahalia Jackson and Reverend James Cleveland. “Every Sunday morning, she would get up and put on these records while dressing and praising the Lord. The furniture was plastic-covered. After lunch, it was more gospel music,” she says. Bed-Stuy block parties would also have revivalist-style gospel acts. “I’m steeped in it!,” she adds. Though a Seventh Day Adventist as a child, Smith is now a member of the Church of God in Christ.